Linux bonding is a feature allowing to group multiple physical network interfaces into a logical one on Linux machines. Known as a low-cost method to improve fault tolerance and network throughput, the Linux bonding with seven supported modes is increasingly deployed in various scenarios such as datacenters, home networks, etc. However, the strengths and weaknesses of different modes have not been well investigated. While previous works mostly pay attention on the performance of the popular round-robin mode, this work extensively and additionally evaluates other modes based on three major criteria: throughput improvement, load balancing, and fault tolerance. 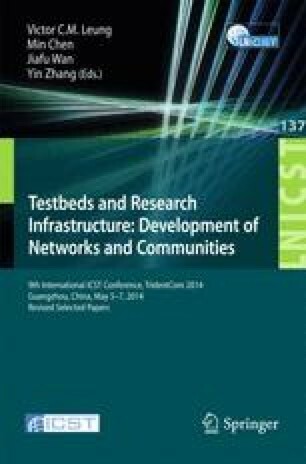 To the best of our knowledge, this is the first work investigating the capabilities of fault tolerance using Linux bonding. The evaluation results show that the active-backup mode achieves the flow switch-over time, which is the duration of traffic flow discontinuation due to a network failure, as small as 10 milliseconds. Moreover, in the round-robin mode with two bonded network interfaces, Linux machines can achieve the maximum throughput close to double of that in case of non-bonding. However, the out-of-order and switch compatibility issues may limit the utilisation of the round-robin mode in certain scenarios. In the 802.3ad mode, the out-of-order issue can be avoided, although load balancing is not always optimal. Cisco EtherChannel - White Paper (accessed January 18, 2014), http://www.cisco.com/en/US/tech/tk389/tk213/tech_white_papers_list.html.